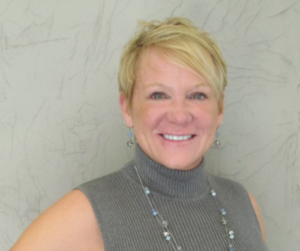 Peggy Irvin, Owner of Body Massage Wellness Spa in Downtown Denver, is a Licensed Massage Therapist, Certified Biofeedback Therapist, Quantum Reflex Analysis, Certified Zerona Consultant, Advanced E.T.P.S. Therapy, Homeopathic Coach, Life Coach. With nearly 30 years of dedication toward building a health and wellness headquarters in Downtown Denver, Peggy’s focus through the years has been to establish a full menu of spa services from massage and skin care to fat elimination, injectables, laser hair removal, PRP hair restoration and so much more. Body Massage Wellness Spa offers something for everyone, including instant gift certificates and gift cards. Both travelers to downtown Denver convention centers as well as Denver residents alike, choose Body Massage Wellness Spa as a trusted source for delivering the highest quality spa services in a clean and beautiful facility. Be sure to check our online reviews (especially Google My Business) and you’ll find that client satisfaction is reflective of the excellence we demonstrate every day in delivery of our health, wellness and spa services. “As owner and operator, I am very passionate about serving and improving my clients overall health and lifestyle. I have been blessed to touch the lives of many professionals encouraging and coaching clients to take the steps necessary to change their health challenges. Whether its stress related, weight loss or chronic pain from injury related problems. I believe through the power of prayer and encouragement we can overcome any challenges that come into our lives. I Studied under Dr. Lance Mclure, D.C., Kevin Kaufmann, D.C., Argell Miller LCMT, Dr. Bill Cunningham, by many years of working with healthcare professionals and injury related problems has allowed me to develop the Six Point Therapy which is result driven to relieve chronic pain for neck, back, sciatica, migraines, carpal tunnel and more. Dr. Stephen Goldstein M.D., is our Medical Director at Body Massage Wellness Spa. Dr. Goldstein is a board certified plastic and cosmetic surgeon studying at Browns University in medicine and reconstructive surgery. 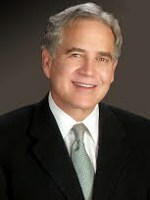 He is the Founder and Medical Director of Denver Hormone Health. Dr. Goldstein, has not entered into the realm of bioidentical hormone therapy as a newcomer. Dr. Goldstein has been studying and practicing bioidentical hormone therapy and anti-aging since 1999 and has been servicing patients in this field since 2000 additionally, Dr. Goldstein continues to educate himself on the latest, cutting edge solutions in bioidentical hormone therapy. 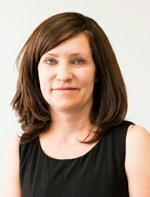 Peggy Wozney is our skin care specialist. She is a medical Aesthetician & Certified Laser Technician. Peggy is originally from Wyoming but her former career as a flight attendant moved her journey to Denver in 1994. She has over 28 years of customer service, has traveled the word, loves camping, her family, and spending quality time outdoors to recharge. Peggy’s passion for corrective skin care shows in every client she touches, and she loves to educate about the vital importance of a healthy skin care regiment. Along with being a Licensed Esthetician she is also a Certified Laser Professional (CLP) from the Allied Health Association, and a member of the National Coalition of Aestheticians and Associations. She is extremely passionate about children and enjoys her time teaching Sunday school with all the loving energy her young students bring to her life. Vanessa Volarich is a registered nurse and licensed aesthetician at Body Massage Wellness Spa. Vanessa’s concentrated education began when she graduated with her bachelor’s degree in biology from the University of Colorado Boulder. Thereafter, she followed her passion for the skin care industry and obtained her aesthetician license from College of International Esthetics. 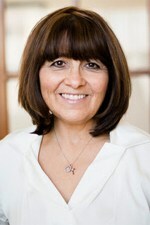 In order to pursue medical aesthetics, Vanessa continued her education at Denver College of Nursing, where she obtained her bachelor’s degree in nursing. Vanessa has received extensive quality training in the medical aesthetics procedures offered at our spa. She holds official certifications in all of the following aesthetic procedures: botox, fillers, advanced injectables, platelet rich plasma, kybella, sclerotherapy, polydioxanone (PDO) threads, laser, and coolsculpting. 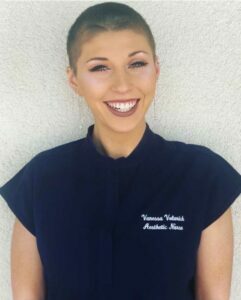 Vanessa is deeply passionate in her practice, as she is dedicated to helping her clients achieve their realistic aesthetic goals. In her free time, Vanessa loves to snowboard and play competitive volleyball. As a “gently aging” woman, I am always searching for ways to fight the ravages of time. As a nurse practitioner Injector, I want proven products and services to offer to my clients. Combining the art of advanced aesthetics and the science of medicine allows me to help you become the most amazing version of the already beautiful you!